YouTuber Vusiuz has an albino hedgehog and her tiny little snores are definitely the most adorable thing you'll hear all day. 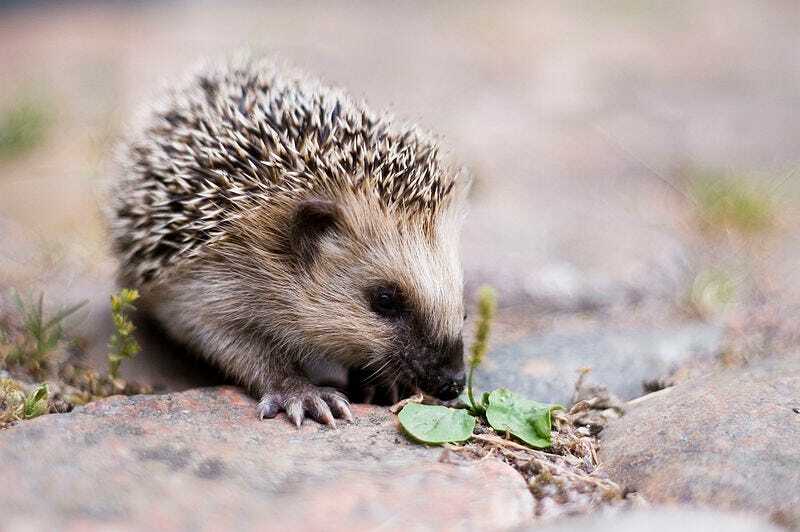 Whether those sounds are associated with dreams we can't know for sure, but hedgehogs do probably have dreams and nightmares. In The History of Animals, Aristotle wrote: "It would appear that not only do men dream, but horses also, and dogs, and oxen; aye, and sheep, and goats, and all viviparous quadrupeds; and dogs show their dreaming by barking in their sleep." His research methods may lack sophistication, but Aristotle may not have been too far off the mark. Centuries after Aristotle, recent empirical research has revealed that the brains of sleeping animals look quite a bit like our own snoozing brains. And human sleep disorders that involve the acting-out of dreams have been seen in our animal cousins as well. What do animals dream about? Were those the sounds of hedgehog dreams? Maybe, maybe not. But there is little doubt that Sonic would dream of tiny little golden rings.